Use this Project Issue Management Checklist to learn how to identify, determine, overcome and summarize issues and problems surrounding your projects. The checklist includes a description of key tasks and activities included in the issue management process. It is best used in VIP Organizer software. Record any issues or problems your team faces during the project course. Review details of every issue/problem. Assess severity level per issue to verify what issues are critical and require immediate resolution. Rank all issues by severity level. Focus on critical issues to identify and measure their impact to the project. Identify what critical issues can be handled immediately, without further analysis and examination. Initiate the problem solving process to handle those issues. Identify issues that require deeper analysis and assessment. Create issue requests that include critical issues requiring further evaluation. Analyze requested issues to determine related occurrences and symptoms. Perform a root-cause analysis to determine probable reasons per issue. Isolate every issue and its causes from the rest issues in order to understand the issue’s individual effect to the project. Develop an issue register that includes all issues, their reasons and their individual effects. Use this register to plan for further actions required for issue overcoming. Issue Overcoming & Project Recovery. Determine if there is a workaround or bypass to disregard any of the registered issues. If yes, try to use available workarounds and solutions to handle or disregard issues. If no, develop an action plan for solving issues. Determine if change control is required to implement your action plans. 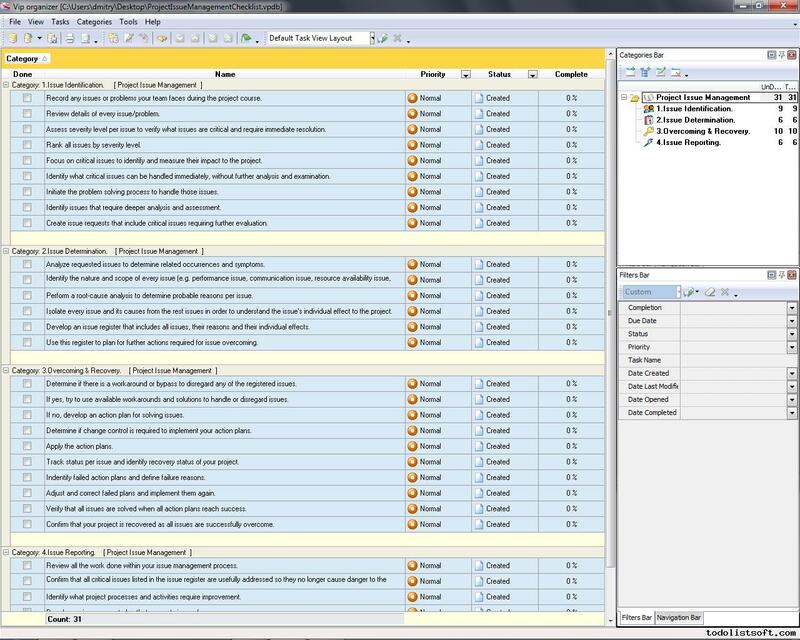 Track status per issue and identify recovery status of your project. Indentify failed action plans and define failure reasons. Adjust and correct failed plans and implement them again. Verify that all issues are solved when all action plans reach success. Confirm that your project is recovered as all issues are successfully overcome. 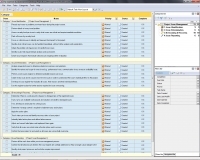 Review all the work done within your issue management process. Confirm that all critical issues listed in the issue register are usefully addressed so they no longer cause danger to the project. Identify what project processes and activities require improvement.